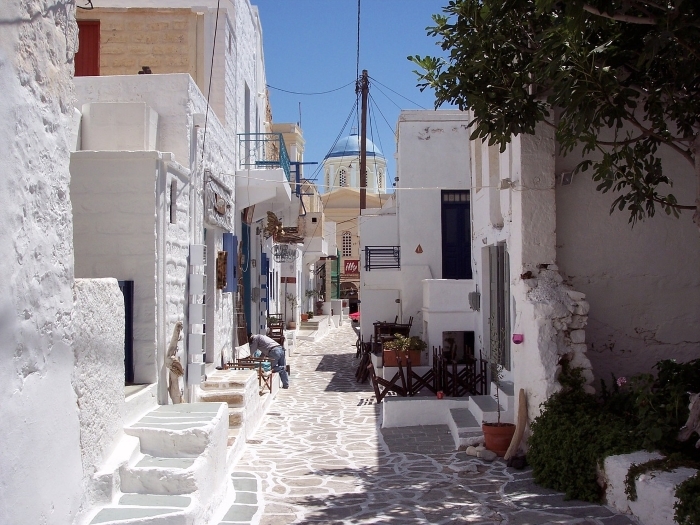 The Cyclades are what many people think of when they imagine the Greek islands. They are the archetypal picture-postcard view of dazzling white houses, deep blue skies and seas, windmills, and pretty churches with pale blue domes. 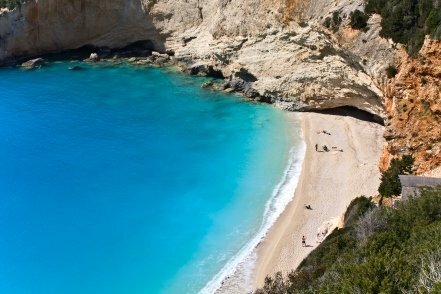 But it is only in the Cyclades group of islands where you get all these features together, and even here not every island has them, though they are certainly among the most appealing islands in the Aegean. 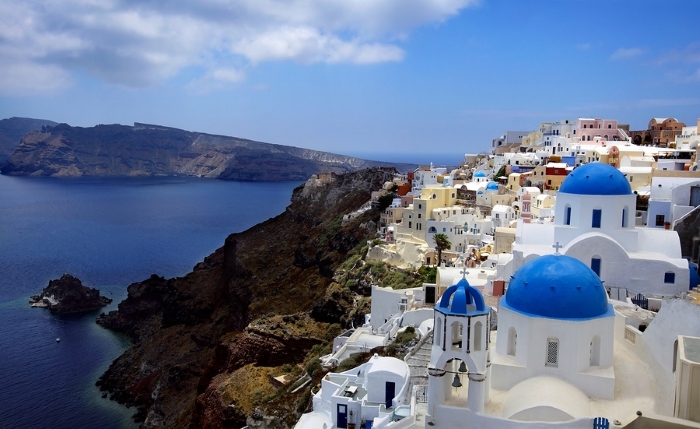 One of the most visually appealing of all, and one of the most popular, is Santorini, also known as Thira. Ships now sail into the flooded crater that was left after a huge volcanic eruption, and the island's distinctive black sand, good nightlife, both cheap and luxury hotels, and gourmet restaurants all mean that it remains one of the most popular of Greek island vacation destinations. 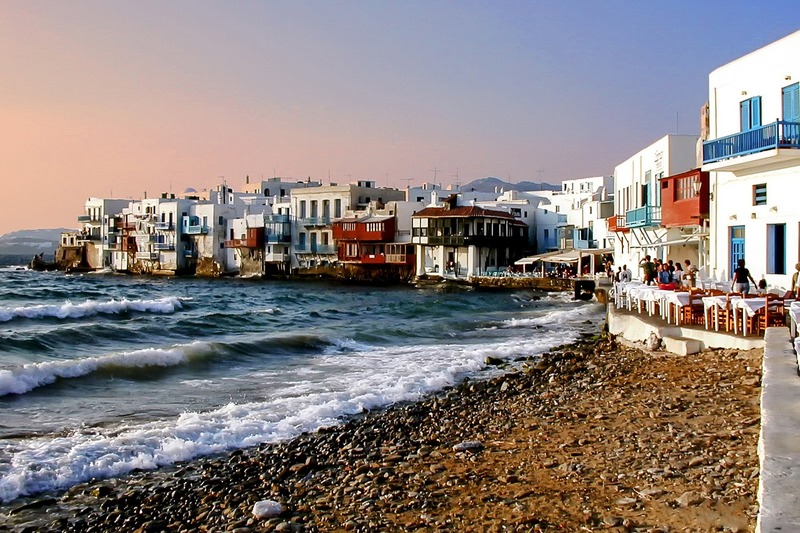 Mykonos is equally popular, with even better nightlife, and more quality hotels and eating places, though its reputation as the hedonistic capital of the Aegean is being played down lately by those who would like to attract a more upmarket crowd of visitors. But there are quieter islands too, usually because it takes slightly longer to get to them. These include Kythnos, Serifos, and Kimolos, where you can really get away from it all. To find out what there is to do on each of the islands, where to stay and where to eat, click on the links below.